Beauty is not just skin-deep. Just ask Sarah Lahbati, one of the most beautiful stars in Tinseltown. 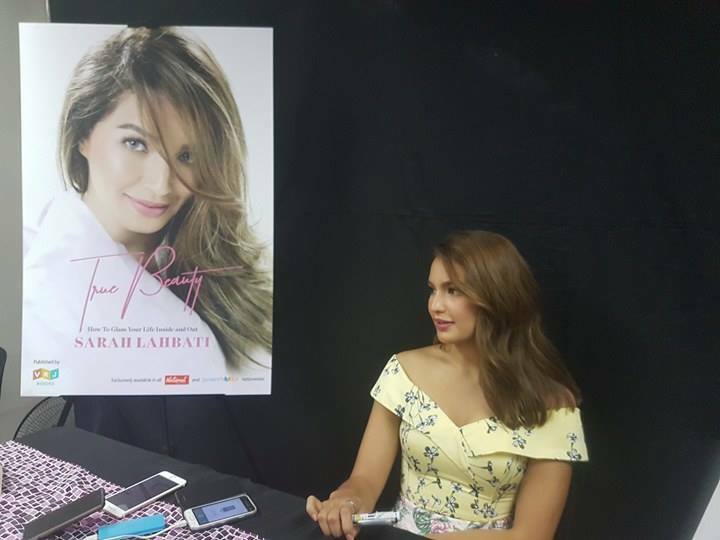 Sarah's book will not be complete without her love story. How did her friendship with Richard Gutierrez turn into courtship? What was it like meeting his family for the first time? How did her own parents react to her relationship with the man who would become the father of her child? Sarah proudly and lovingly describes Richard beyond his boy-next-door charm, thus making us see what she values most in a man. For the single ladies, she provides a checklist that may help in determining if the man who is trying to sweep you off your feet is truly "The One". "True Beauty" also touches on Sarah Lahbati's passion for performing, the lessons she learned from life's challenges, finding inspiration and spreading positivity, and much more. It shows why she is now a picture of happiness. Everyone is invited to get a copy of this fun and insightful read. Use it to celebrate your own beauty and to further glam your life inside and out.